As we mentioned last week Google recently did an imagery update. The fresh imagery has now been pushed to ‘historical imagery’ and we are looking at three floods around the world. 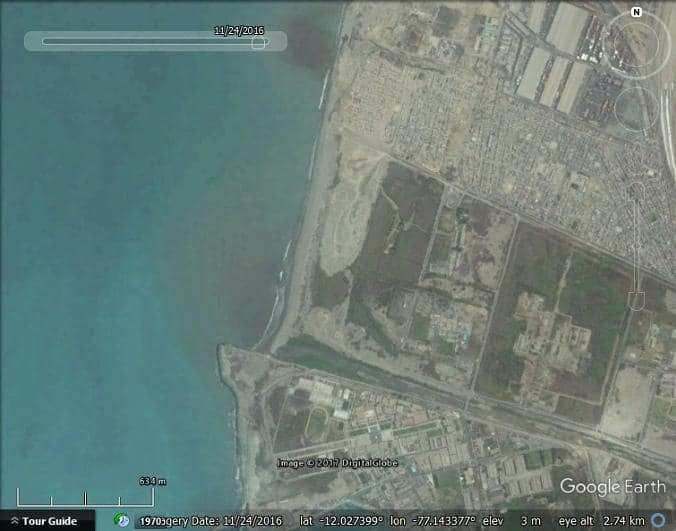 We mentioned Lima, Peru in a previous imagery update. 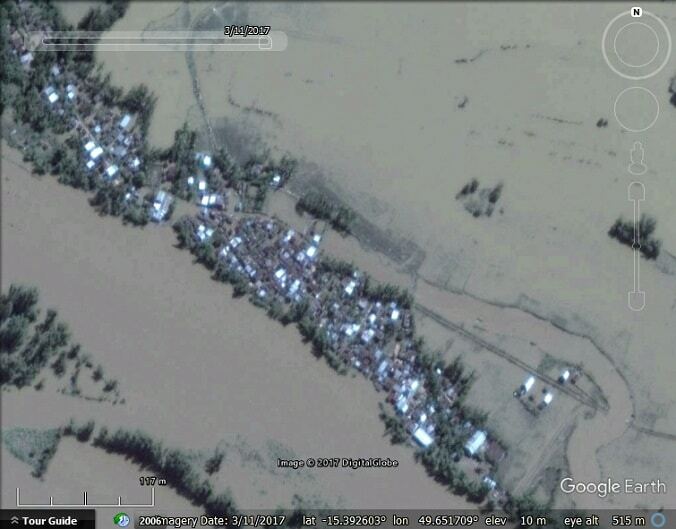 At that time, the imagery was from just before the worst floods. 2017 has seen heavy rains in much of South America with significant flooding in Brazil, Chile, Colombia and Peru. According to Wikipedia, more than 115,000 homes were demolished, leaving approximately 178,000 people homeless. A total of 113 people were killed, 354 were injured, and a further 18 were missing. 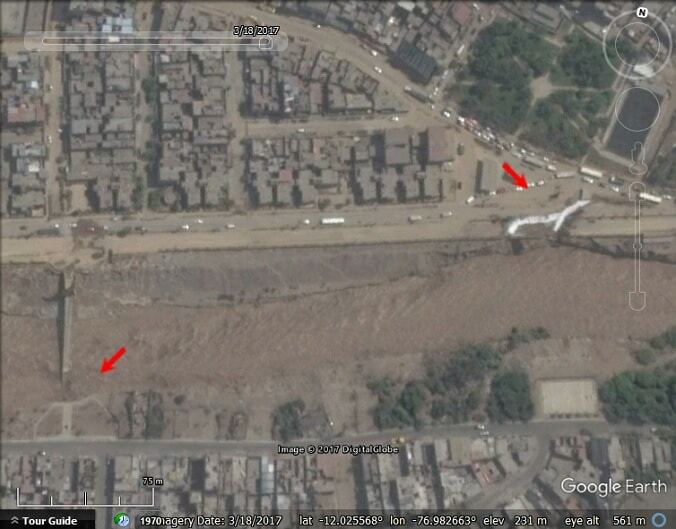 The Rímac River flows through Lima and you can see it forming a delta in February and March. Rímac River delta forming in Lima, Peru. Rímac River, Lima, Peru. In the photo, a foot bridge is partially flooded and a road is damaged. However, we believe that at the height of the floods, most of the surrounding roads were flooded. Cyclone Debbie caused major flooding across the eastern coast of Australia and parts of New Zealand. Last week we had a look at Rockhampton, Queensland, Australia using Sentinel-2 imagery. 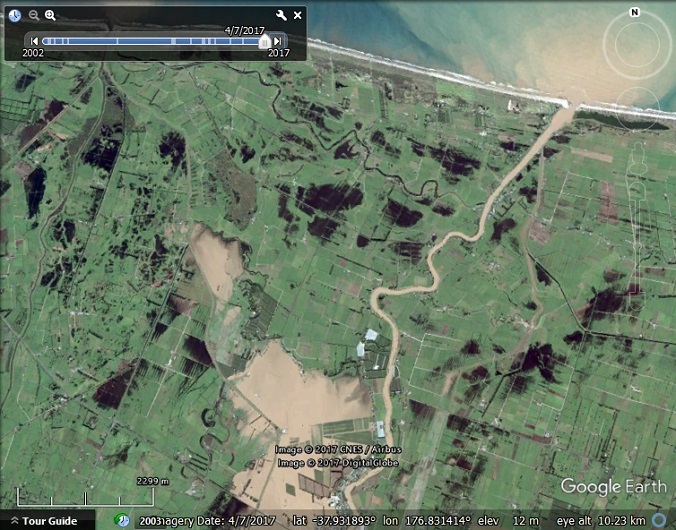 Below we see some flooding around Edgecumbe, North Island, New Zealand. 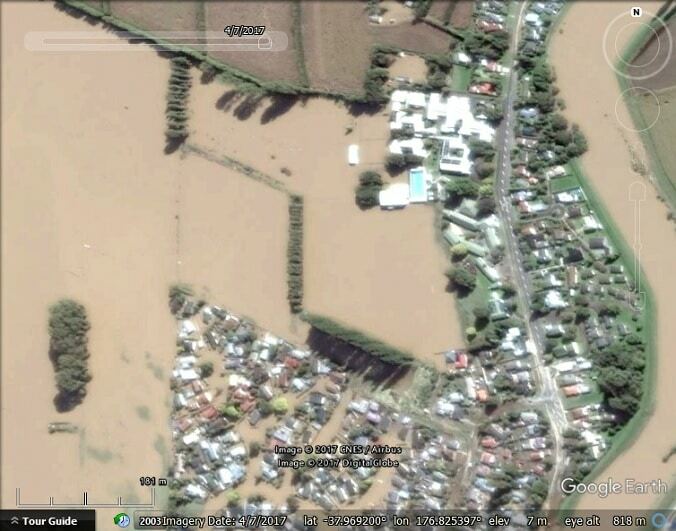 Flooding around Edgecumbe, New Zealand. A closeup of Edgecumbe, New Zealand. 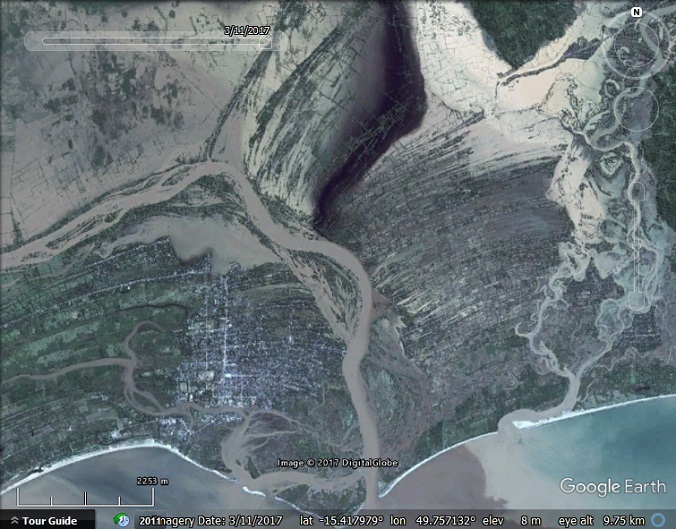 The post Google Earth Imagery Update – Floods around the World appeared first on Google Earth Blog.